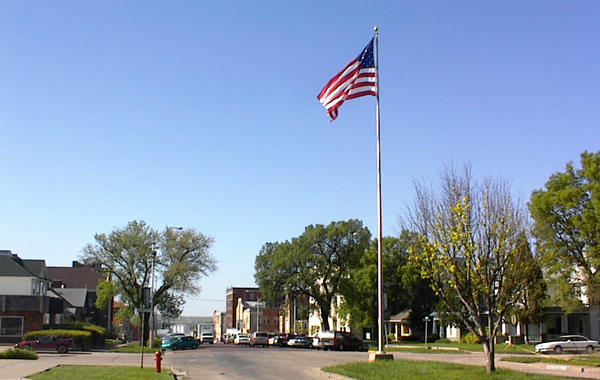 With a population of approximately 7,700 people, McCook, Nebraska is everything you could hope for in a community. Friendly people, well-kept city parks, outdoor recreation, community events, excellent educational and medical services – it all comes together into a great place to live work and play. McCook, established in 1882, offers history deeply rooted in agriculture, the railroad and the spirit of the American pioneer. 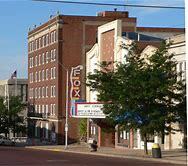 Early, McCook became the center of commerce and trade in Southwest Nebraska and Northwest Kansas. As the town grew and established itself as a commercial center, farming and ranching spread across the surrounding area. In 1890, the largest buffalo herd in the world existed northeast of McCook. A man known as Buffalo Jones established several ranches that provided buffalo to the rest of the world. Jones is credited to be directly responsible for keeping the buffalo from extinction. Today the town being a regional trade center is an excellent opportunity for families to work and play. It is the perfect place to put down roots, raise a family, and retire in style. Outdoor recreation is woven into the fabric of western Nebraska rural communities like McCook. Nature is never more than a few minutes away. Numerous State Recreation Areas, Reservoirs, and Wildlife Management Areas throughout the area are great place for birding, camping, hunting and fishing. The Heritage Hills Golf course was opened in 1981 and was rated in 1984 as Golf Digest “Best 75 Golf Courses. The course has just undergone a renovation in 2013 and is of the highest quality of design, course conditioning, and value. Whether you come to McCook for shopping, an overnight stay or a several day excursion for the whole family, we promise that it will be a memorable experience! Enjoy the natural settings and outdoor adventures along the river, prairie lakes and walking trails. Celebrate with us during our award-winning festivals, special events, and annual celebrations. Stroll along our brick streets at your leisure while visiting our specialty shops and restaurants. From pumpkins to cattle, our farms offer a glance of the Midwest lifestyle. The closest towns of larger size are to the north by 72 miles and to the northeast by 100 miles. McCook is located at the intersections of Highway 83 going from North to South (This is a highway that goes from the Canadian border to the Mexican border) and Highway 6 and 34, which is a well-traveled road that connects easily between places in Easter Nebraska like Lincoln and Omaha, to Colorado North of Denver in the Estes Park area. As of the 2000 census, McCook's population was 7,994. The population density was 1,485.1 people per square mile. There were 3,754 housing units at an average density of 697.4/sq mi. The racial makeup of the city was 97.37% White, 0.18% African American, 0.45% Native American, 0.18% Asian, 0.91% from other races, and 0.91% from two or more races. Hispanic or Latino of any race were 2.53% of the population. In the city the population was spread out with 24.1% under the age of 18, 9.7% from 18 to 24, 24.2% from 25 to 44, 21.3% from 45 to 64, and 20.7% who were 65 years of age or older. The median age was 40 years. For every 100 females there were 89.2 males. For every 100 females age 18 and over, there were 86.3 males. The median income for a household in the city was $31,105, and the median income for a family was $40,455. Males had a median income of $28,065 versus $18,516 for females. The per capita income for the city was $16,691. About 7.9% of families and 9.4% of the population were below the poverty line, including 9.7% of those under age 18 and 8.4% of those age 65 or over.